After disappointing the American people by missing the 2015 Oscars, presumably for something more important, our favorite Oscar-winning leading lady has quickly managed to win back our good graces. And here's how: images of Jennifer Lawrence's new Dior campaign for the Be Dior handbag were released today. And, as expected, she looks stunning like always. In the first ad, Lawrence sports a slim-fitting, tuxedo-vest-style dress from Dior’s Spring/Summer 2015 collection, with a pair of black pumps and a bright yellow bag. Her perfectly messy hair and minimal makeup works exquisitely with the photo’s background, which according to WWD, was a partially set up installation in an art gallery. Luxury brands sure love an undone aesthetic! The second ad features the actress with a slightly more disheveled hairdo, wearing a navy dress, what appears to be one earring (so trendy) and a light pink Be Dior handbag. The photographs were taken by notable photographer Paolo Roversi and the ads are slated to run later this week in Marie Claire U.K. and then in French Glamour and Harper's Bazaar U.K. shortly after. Dior plans on releasing additional content from Lawrence’s new campaign on diormag.com this Thursday. I. Can't. Wait. E! 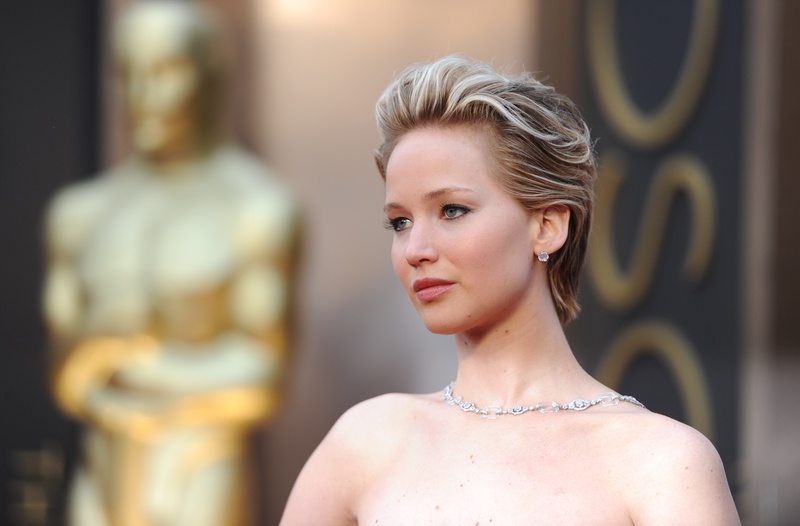 News confirmed in 2014 that Lawrence renewed her contract with Dior for another three years. And if that means three more years of beautiful ads, we’re all about that. Here's Lawrence rocking one earring in her latest campaign for "Be Dior." No one would ever guess that J-Law is not a formally trained model. Look at that smize!